Iceland is now the only country in the world that has legalized equal pay between the sexes. As of January 1, 2018, Iceland has become the first country to enact a law that makes it illegal to pay men more than women. Iceland is now the only country in the world that has legalized equal pay between the sexes. Now, public and private employers in Iceland that have 25 or more employees will have to obtain government certification of equal pay policies, or face fines. 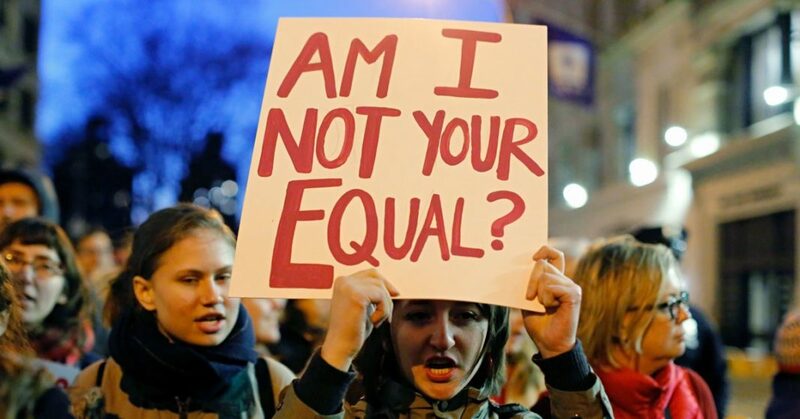 “It’s a mechanism to ensure women and men are being paid equally,” Dagny Ask Aradotti Find, board member of the Icelandic Women’s Rights Association, told Aljazeera. The island country, which is home to 323,000 people, has been ranked by the World Economic Forum as the world’s most gender-equal country for the past nine years. This was confirmed in the Global Gender Gap Report, which examined the gender gap across four areas: economic participation and opportunity, educational attainment, health and survival, and political empowerment. The top five best performers in the global gender gap behind Iceland are Norway, Finland, Rwanda and Sweden. The United States ranks 49. Iceland also ranks first in “political empowerment” in the Global Gender Gap Report, where the U.S. ranks 96th. Since 2006, Iceland has closed close to 10 percent of its total gender gap. This makes it one of the fastest-improving countries in the world. Legislation passed last year was supported by both Iceland’s center-right ruling part and the opposition. This can’t be too much of a surprise, as nearly 50 percent of Iceland’s parliament is female. In the U.S., only 19 percent of Congress is female.